Tabitha Barret is a Multi-Genre Romance author who lives in New Jersey with her husband, two children, and four crazy dogs. She met her husband in Creative Writing classes in college, though it took a little convincing for him to ask her out. She is currently working on her Award Winning "Third Throne" Series. Some stories should never be uttered. Some are the most important words ever to be penned. 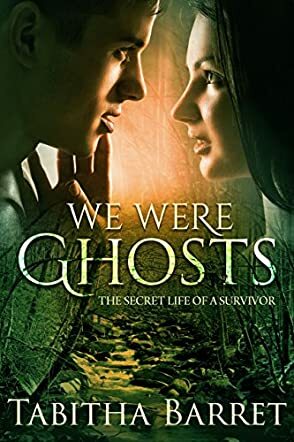 The pain in We Were Ghosts: The Secret Life of a Survivor by Tabitha Barret is the most important story I have read in long, long time. As Alicia enters her junior year at St. Theresa’s Prep School, she is under no illusion that this year will be any different than those in her past. But at least in school she is safe from the cruelties that await her at home. At home she zoned out in the hands of Phil, her mother’s boyfriend. The abuse was unspeakable, especially knowing that her mother would never believe her. Living a dual life was much easier than publicizing her secret. No one knew. No one would ever know. No one could ever understand. Until Alicia came into contact with the bluest, most beautiful eyes she had ever seen. Of course, Zack was out her league, but he didn’t seem to realize it. Drawn to one another in an unlikely match, Alicia discovers she is not the only abused teen in town. We Were Ghosts is a candid look at the hidden physical, mental, and emotional abuse endured by our seemingly innocent youth. Tabitha Barret provides inspiration and hope for recipients of physical abuse. Her resource information at the end of the story is the perfect way for victims to gain hope. We Were Ghosts, though a work of fiction, is obviously a very realistic insight into teens in trouble and searching for answers. Realizing that they are not alone is part of the healing process which Barret has successfully and passionately narrated. A strong plot and convincing dialogue. Through my tears, I urge readers to get this book.